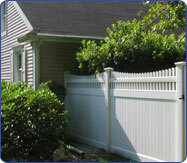 Our Olympia Vinyl fence looks great and lasts a lifetime. 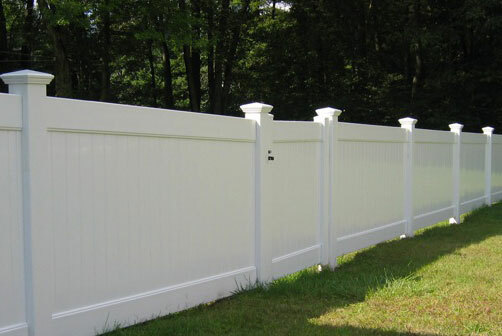 With Olympia Vinyl, you can go beyond the simplicity of white pickets. 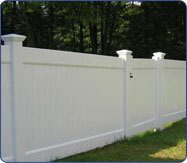 Our fences are available in multiple colors with styles to fit any home - from traditional to contemporary. 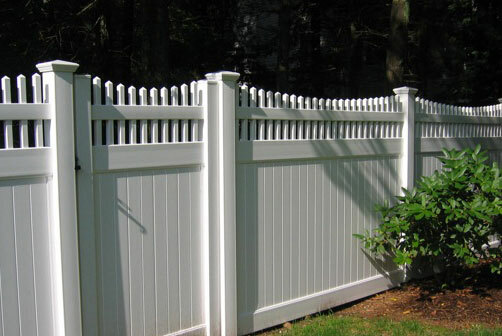 Vinyl fence is a recent and modern style of fence, used for both agricultural fencing and for residential use. 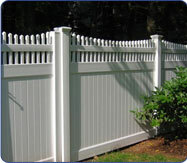 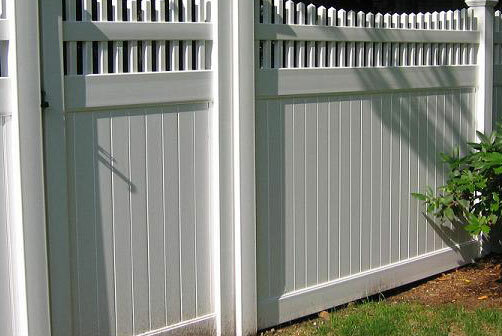 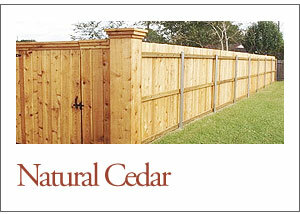 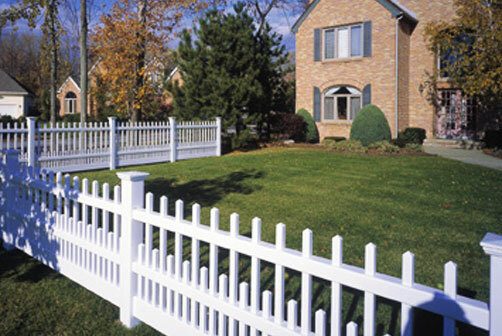 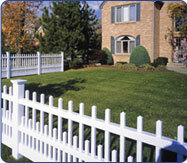 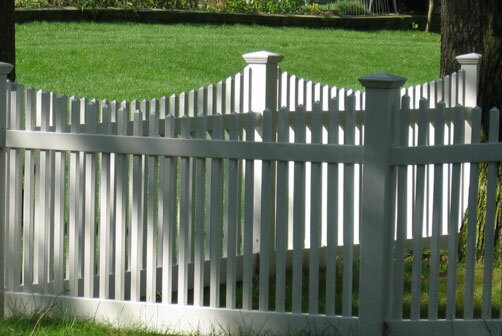 Vinyl fence is generally available preformed in a wide variety of styles. 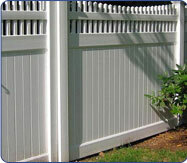 It tends to be easy to clean, resists weathering and has low maintenance requirements. 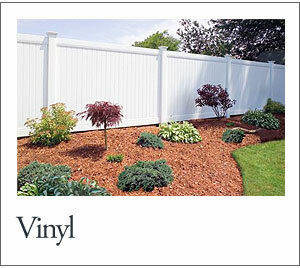 Different from wood and chain link, vinyl profiles can be cut and shaped to just about any desired size. 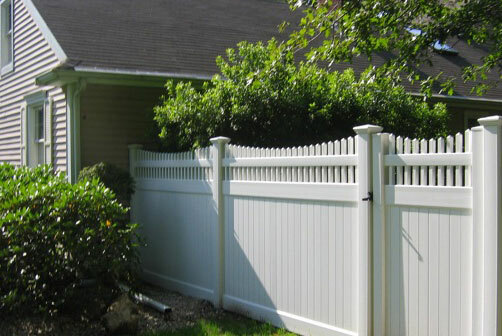 Vinyl fences come in many different colors which are digitally integrated into the vinyl extrusion process which means they will not have to be painted every few years. 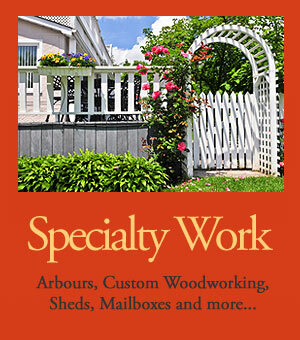 We are proud to be family owned and operated and in business for 44 years. 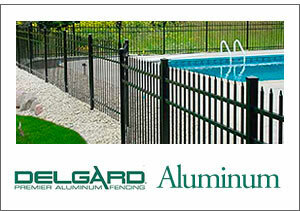 Our advantage is our common values, strong commitment, loyalty and stability. 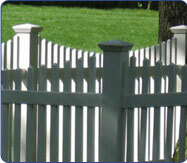 We take great pride in the quality of our products and services. 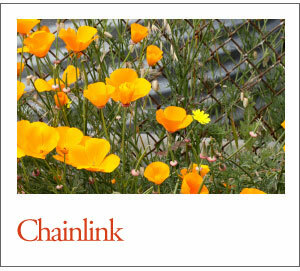 All our prices are at wholesale costs to pass on the savings from our family to yours.